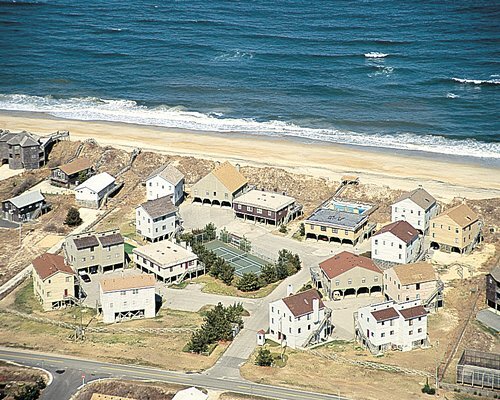 Enjoy having the ocean right at your fingertips when you stay at this pleasant beachside resort. 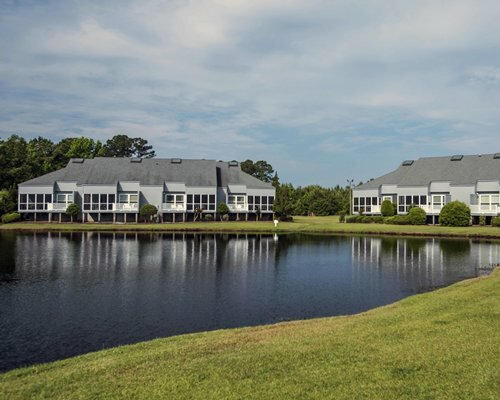 With private access to the beach, on-site tennis courts, and outdoor grilling equipment, Dunes South is perfect for families or a romantic getaway. Charters for deep-sea fishing or surf casting are available by request. 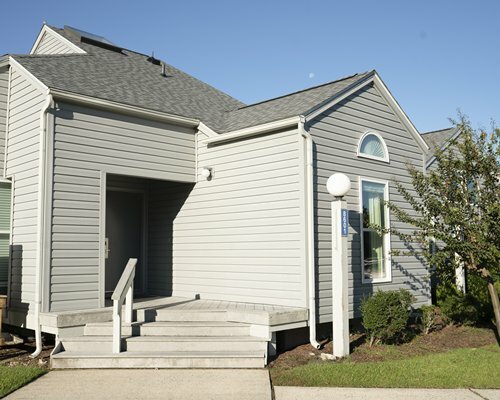 Dunes South is located in Nags Head, and is just minutes from most Outer Banks attractions. 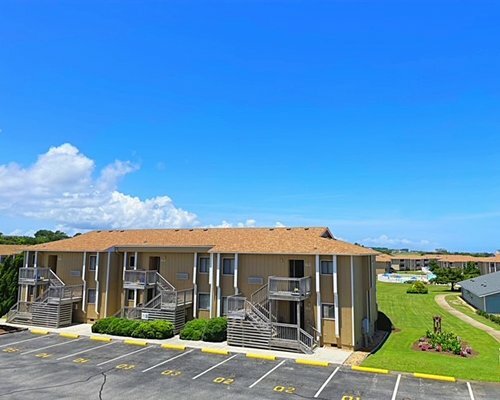 Relax in comfort when you stay in these spacious, air-conditioned seaside condos. 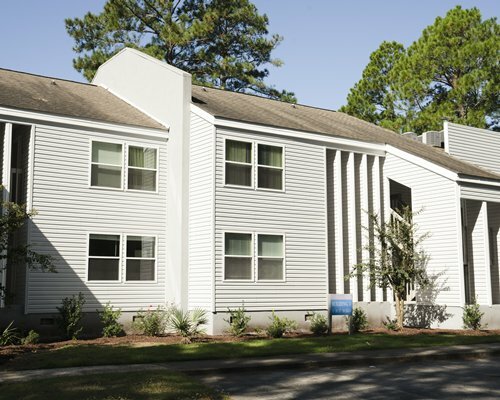 Every unit is equipped with a full kitchen, dishwasher, and washer/dryer. All 2 bedroom units are one level off of the ground, while the 3 bedroom units are bi or tri level units. Each of these cozy accommodations features a fireplace, to warm your bones after playing in the surf. Pets are allowed. There is a $75 pet fee paid at check in for every 2 animals with a max of 4. The nearest airport is Norfolk International Airport, 85 miles away. From Norfolk, take I-64 east to Route 168 SOUTH 30 MILES TO ROUTE 158. 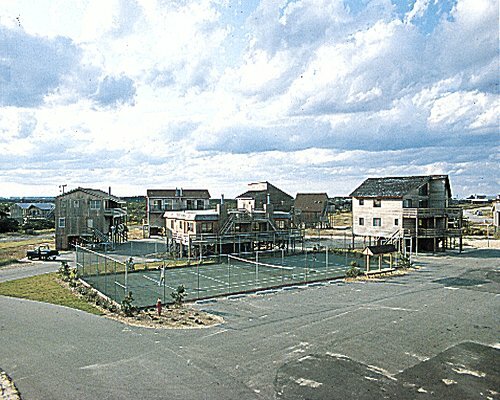 TRAVEL THROUGH KITTY HAWK AND KILL DEVIL HILLS, TO THE TOWN OF NAGS HEAD. TURN LEFT AT THE INTERSECTION OF MILE POST 14.5. TURN RIGHT ON VIRGINIA DARE TRAIL. TAKE VIRGINIA DARE TRAIL TO MILE POST 16 WHERE THE ROAD SPLITS. GO LEFT ONTO OLD OREGON INLET ROAD. DUNES SOUTH IS 2 MILES SOUTH AT MILE POST 18. Pets fee is 75.00 to 150.00 U.S. dollars. Cash or Credit is accepted. Fee based on # of pets.